I spend a ton of time talking about the Packers, but with tonight’s enormous match-up of the Seattle Seahawks and the New Orleans Saints in Seattle I had to remind everyone what happened last time they met, back in 2011 in the wild-card playoff round. That right there is how a man runs! If only more running backs did that, Adrian Peterson and Marshawn Lynch are about it. Eddie Lacy has a chance to do that, but he has a few years to learn the tricks. I think the Saints win this game tonight with the Seahawks secondary a little beat up OR suspended. ***ALERT*** The weekly preview was expected to go to video this week, but due to some technical difficulties the video preview will be pushed back one week. 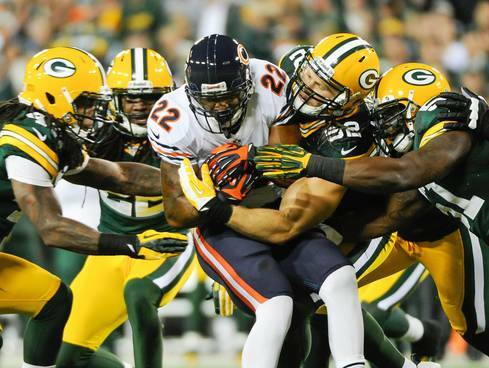 The Green Bay Packers (5-3) fell into a 3-way tie for the NFC North with their Monday Night loss to the Chicago Bears. Not only did they lose the game, they lost Aaron Rodgers to a fractured collar bone for about three weeks. That brings us to this week, the start of three winnable games even without Rodgers. The Packers are up against the Philadelphia Eagles (4-5) who just put up 49 points on the Oakland Raiders, the good news is they at Lambeau Field! After seeing what Josh McCown did to the Packers defense and what Seneca Wallace did in his relief effort on Monday it’s hard to believe the Packers can pull off this victory. 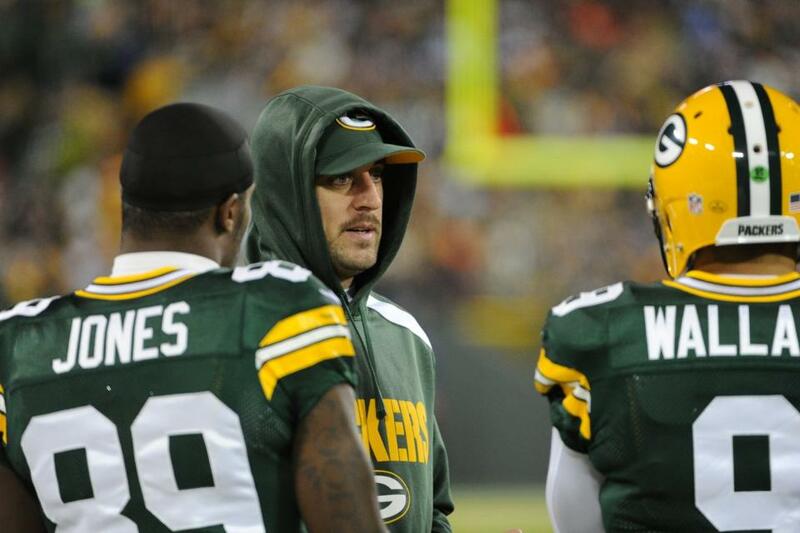 What do the Packers need to do to get one step closer to the playoffs and Rodgers return? Clay Matthews and Nick Perry are on their way back this week! 1. The defense needs to step up. The year the Packers went 15-1, but had the worst defense in the league they had a great turnover ratio. This year’s defense is much improved, even with all the injuries, but they just have not forced enough turnovers. Casey Heyward who had 6 interceptions as a rookie last year has none this year, in fact the team only has 3 ints on the season. The defense has forced 10 fumbles, but have only recovered 4 of those fumbles. The Packers are going to need to force a couple turnovers in this game for a win. 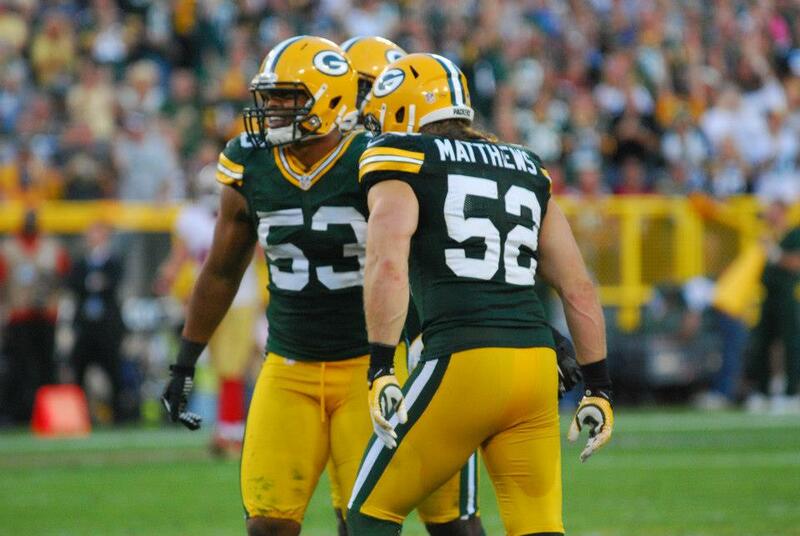 The good news is it looks like both Clay Matthews and Nick Perry are returning from injury on Sunday. 2. The Packers need to dominate time of possession. This Eagles team is fast paced and can score quickly, if the Packers can keep the Eagles defense on the field they will get tired and the Packers can run the ball all over them in the fourth quarter. 3. The Eagles are a finesse team and the Packers need to hit them in the face. Own the trenches, stop the run and just hit the snot out of them. If DeSean Jackson comes across the middle make him think twice. The Eagles are the #2 rushing team in the league, when LeSean McCoy gets a hand-off stand him up. The Packers need to play that old school defense for the next 3 weeks. 4. Get the crowd in it early and keep them going all game. Let’s put it this way, the Packers need to lean on Eddie Lacy to get this victory. There is nothing to really say about it, Wallace is going to play better, but is not going to win us any games. Wallace will be able to manage the game and as long as he can get it into Lacy’s hand I think Lacy does what he needs to help the Packers inch closer to the playoffs. Seneca Wallace needs to channel his inner Trent Dilfer and be a game manager. Tall task for a hurt team. Back-up QB that was not in training camp with the Packers. He did get a full week of reps with the 1st team and Mike McCarthy is a great coach who puts together some great offense game plans. Not sure if you remember 2010 when Rodgers was knocked out of the game vs the Detroit Lions and the Packers lost 7-3, the Packers had to go into New England to play the Patriots with Matt Flynn getting his first start. Flynn played a great game and McCarthy had a great game plan. Wallace will be ready, let’s hope it translate on the field. Packers get the win 24-21 with a big defensive stop in the 4th quarter. The Monday night loss to the Chicago Bears is going to drop the Green Bay Packers in the Power Rankings this week. How far did the Packers drop? ESPN.com – 11 (8) – Don’t blame Seneca Wallace for the defense. The Packers allowed a season-high 113 rush yards before contact Monday night and Brandon Marshall topped 100 yards for the third time this season. 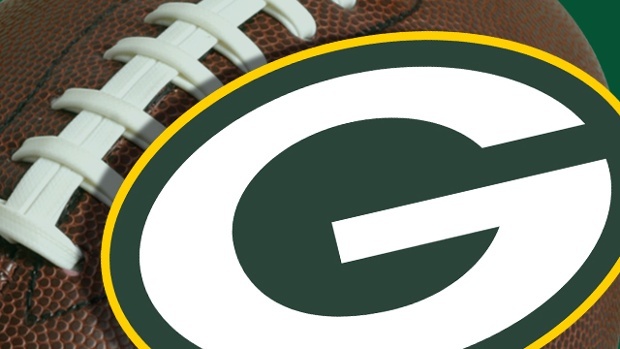 CBSSPORTS.com – 13 (9) – If Aaron Rodgers is out for any period of time, the Packers are done. That’s how valuable he is to that team. 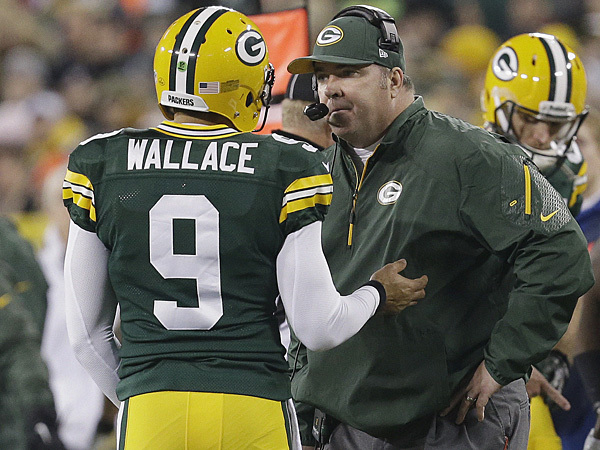 NFL.com – 12 (9) – Going forward, it would behoove head coach Mike McCarthy to get Seneca Wallace out of the pocket. Not to run, mind you, but to move the launch point, taking advantage of Wallace’s legs while getting him out of the melee. Designed rollouts might alleviate the risks of playing behind that mediocre Green Bay offensive line. Otherwise, teams are going to continue to stack the box to stop Eddie Lacy, at least until Wallace proves he can beat them downfield. Do you remember when the Green Bay Packers (5-2 1st North) and the Chicago Bears (4-3 3rd North) had a rivalry? It hasn’t been in the last four years, over the last four years the Packers have won 8 of the last night games, including 6 in a row. The Bears do lead the all-time series 87-91-6, so the Bears had some good runs in this rivalry. The Packers come into this game at Lambeau Field off a dismantling of the Minnesota Vikings last Sunday night, while the Bears are coming off a bye week. The bye week came at a good time for the Bears who lost Jay Cutler to a groin tear, the bye week gave Josh McCown extra time to prep for playing quarterback with Cutler out a few more weeks (although there are rumors saying he is healing quickly). Stopping Matt Forte is a must. 1. Eddie Lacy – The Bears have been one of the few teams that have made Aaron Rodgers struggle, but the difference this season is Rodgers has a running game. The Bears are 22nd against the rush and the Packers are 3rd in rushing offense, this could be a big yardage game for Lacy. If Lacy pops a couple big runs in the first quarter the play action is going to be there the whole second half. 2. David Bakhtiari – Bakhtiari did a phenomenal job shutting down Jared Allen last week for zero sacks, QB hits and tackles, next up Julius Peppers. If Bakhtiari can keep Peppers off Rodgers back and Lacy opens up passing lanes this could be Rodgers best game against the Bears. 3. Devin Hester – I said it last week in the preview of the Vikings game, the Packers had to shut down the return game. What happened? Cordarrelle Patterson took the opening kick-off 109 yards to the house. Hester has done it in the Super Bowl and leads the world in the return game. The Packers must make an effort to kick away from Hester, Tim Masthay needs to kick the kick-offs out the back of the end zone and put his punts in tough return areas. 4. Matt Forte – I usually only do three keys to the game, but Forte is the Bears chance to win this game. He can keep Rodgers off the field by controlling the clock. Forte can do it all, he can run and catch passes and with McCown in there, the Bears will rely heavily on Forte. The last time I picked Eddie Lacy to be player of the game he left with a concussion, but I am taking the chance and saying that he has the kind of game the Packers need out of him. This just isn’t just about the fact that he is second in the league over the last 4 games in rush yards, but the fact he has really learned how to pass protect and that was the worry about him being a full-time back. We’re going to see James Starks steal a few of Lacy’s carries to keep him fresh, but Lacy will do enough to get back over 100 yards again this week. The Bears let up 29 ppg and the Packers average 30 ppg. So it is really set up for the Packers to score a ton of points, but with all jokes aside this is still a rivalry and I don’t see the Bears letting Rodgers and Co. score 40 on them. I do see the Packers getting to their yearly average and winning 30-20. Special treat for the rest of the season coming next week. Weekly previews are moving to video starting next week! CBS Sports – 9 (9) – If Jermichael Finley is out for a time, whom will Aaron Rodgers throw to next week? Does it really matter? 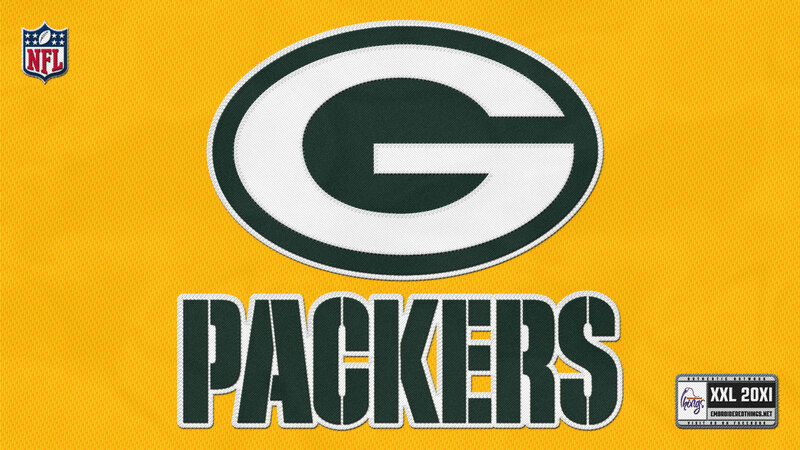 ESPN – 9 (9) – The Packers have finally found their running back. 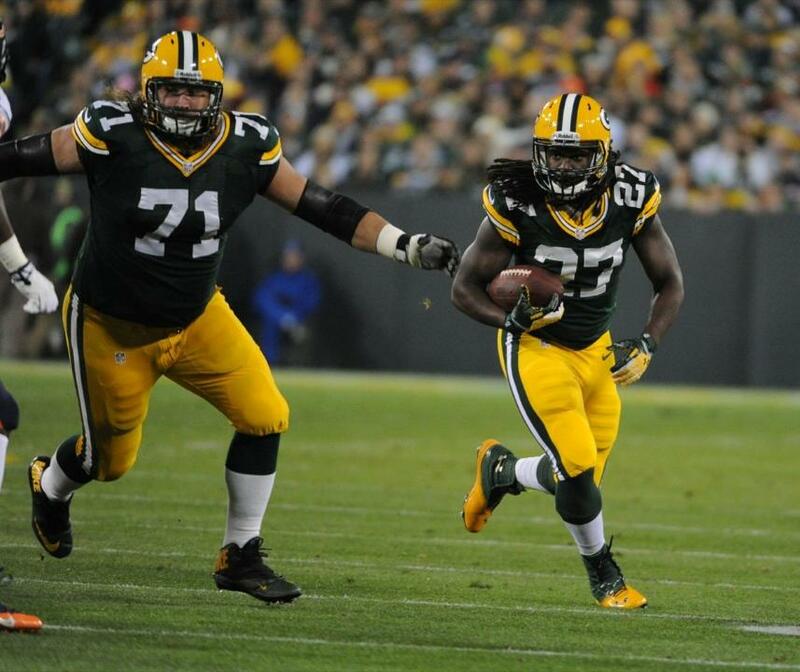 Eddie Lacy leads the NFL in rushing over the past three weeks. NFL.com – 9 (9) – The Packers’ 1929 championship throwback unis are sweet. Personally, the Power Rankings prefers the ensemble with the brown helmet, but per — wait for it — another NFL rule, clubs can no longer change their helmets, beyond swapping out the logo. So the Packers stay put at number 9 in all three of the power rankings. I’m surprised at least one of the media outlets didn’t move them up one spot, but hey I’ll take the 3rd seed in the NFC for now. 1-0 in what I said was going to be a big four game stretch. Next up the Vikings in Minnesota.